Capturing rain to help our environment. 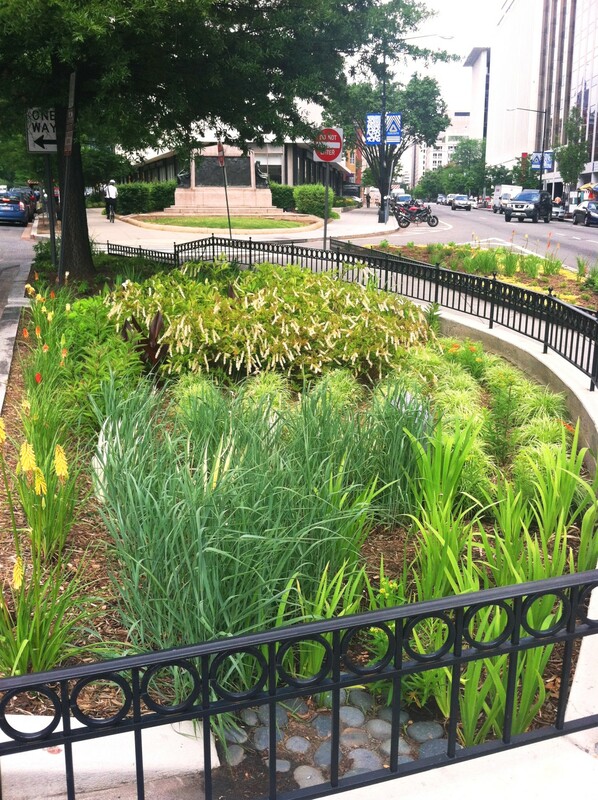 All five of the Golden Triangle’s rain gardens were made possible through a partnership between the Golden Triangle BID and the District Department of Energy & Environment, with funding from the U.S. Environmental Protection Agency’s 319 Program. 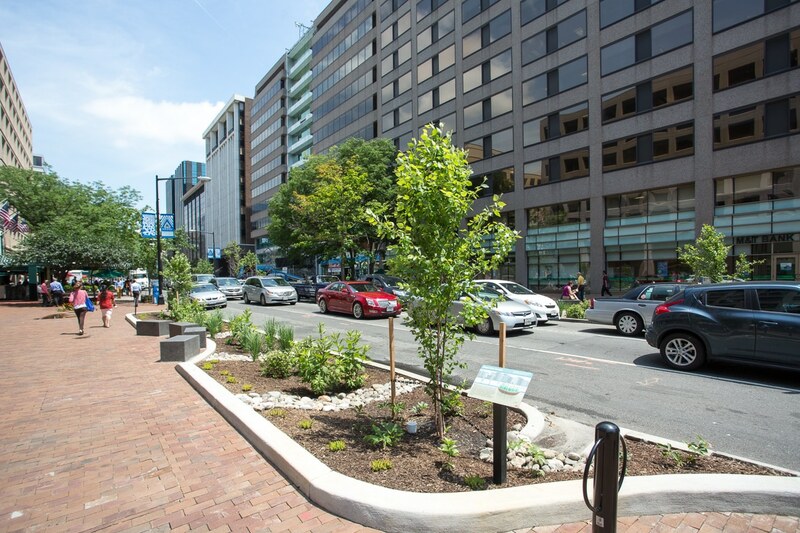 The rain garden located at Rhode Island Avenue & M Street was the first grant-funded project from the city government for a low-impact development project in a commercial district. 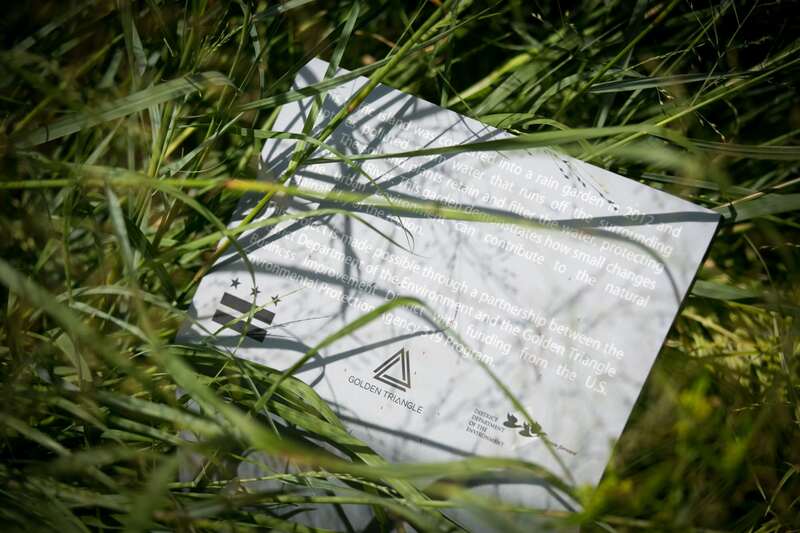 Before becoming rain gardens, the land was underutilized concrete. 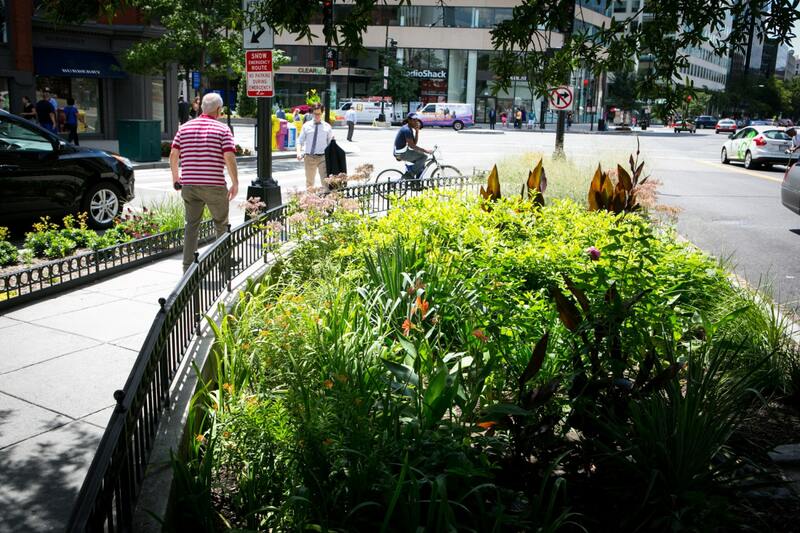 Today, these rain gardens add nearly 3,000 square feet of greenspace, which provides a valuable habitat and vegetation for butterflies and other pollinators. Each of the five Golden Triangle BID rain gardens is recognized as a Certified Wildlife Habitat™ by the National Wildlife Federation. 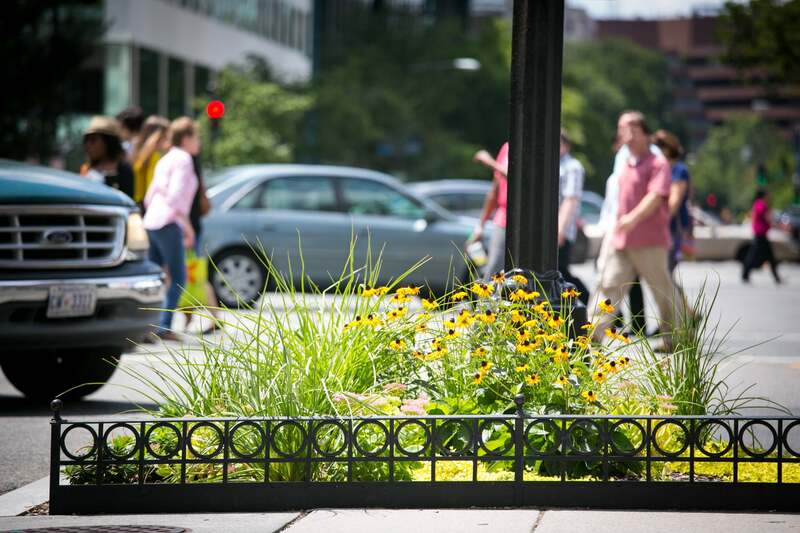 The rain gardens in the Golden Triangle can filter tens of thousands of gallons of runoff annually in and around the area by capturing rainfall and controlling the storm water from the street. 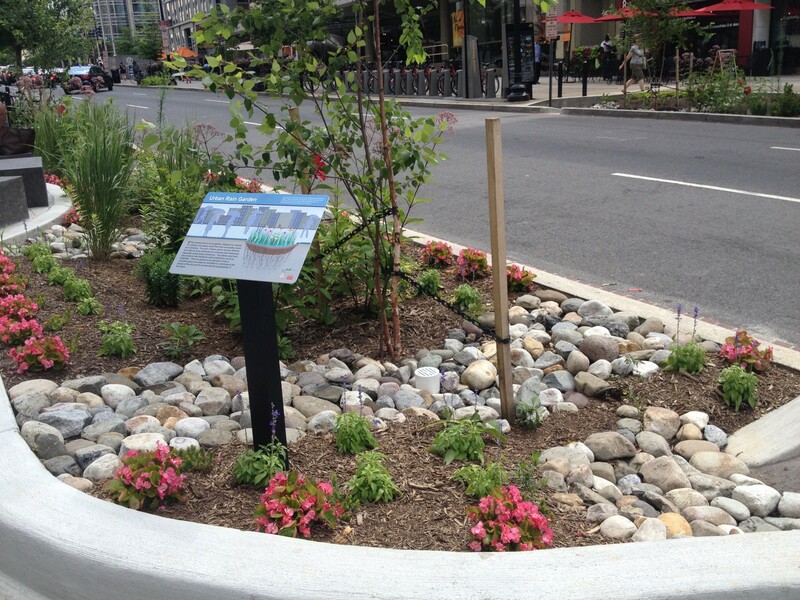 Rain gardens are designed to utilize both the rain water that falls onto the site and the runoff from surrounding areas to nourish the soil and plants. During a rainfall, the soil and drought-tolerant plants work together to filter the water that has fallen on the garden area. 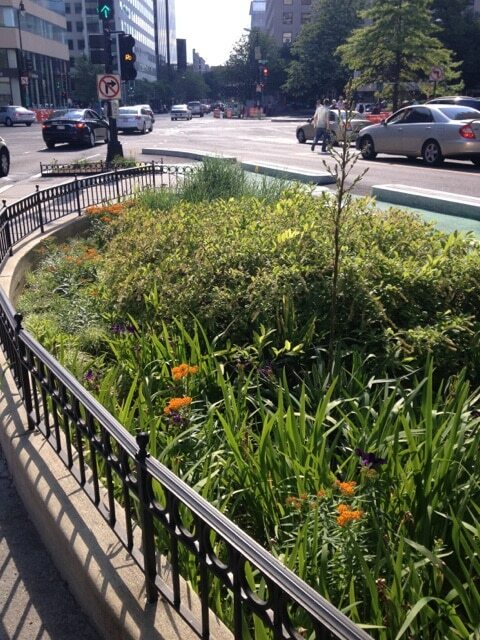 Storm inlets on the streets also drain water into the rain garden, allowing the plants and soil to filter the street runoff. 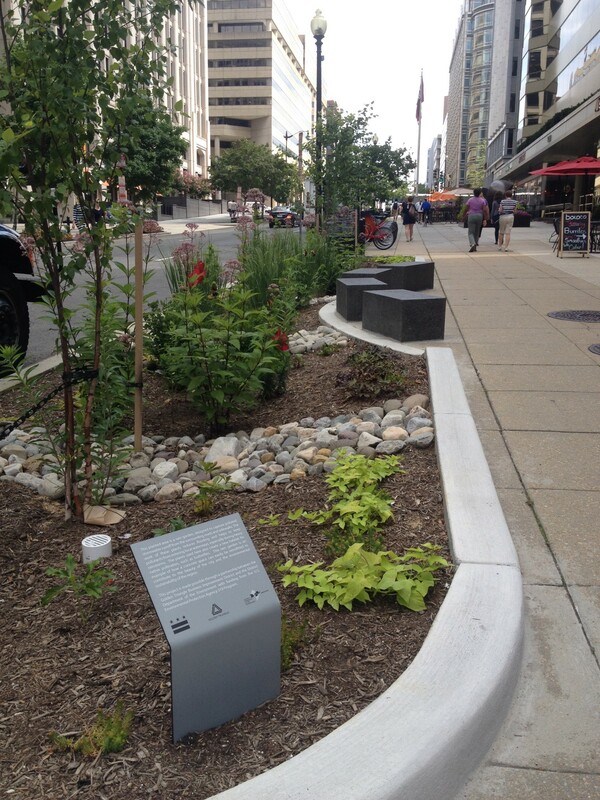 Click here to learn about the art in the Rain Gardens at 19th and L Streets.